Sitting among the thickly forested planes that characterize southwestern Nigeria are the towns and communities that make up the Ondo Kingdom. Located some 300kilometres to the north-east of Lagos, Nigeria’s economic nerve centre and 45kilometres west of Akure, the Ondo State capital, the Kingdom is easily reached by road from all parts of the country. The Ondo people are one of the largest Yoruba subgroups, situated in the eastern part of the Yoruba speaking area of Nigeria. The weather elements that characterize the region are those typifying the rainforest region of Sub-Sahara Africa. 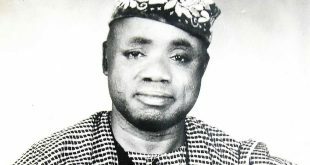 The descent of Ondo people, as well as the geography of the Kingdom does not reflect any significant deviation from those of other towns and communities peopled by the Yoruba of south-westernNigeria, who are virtually agreed on the common paternity of Oduduwa. However there exists still, as in most historical collections, about three separate accounts that explain the origin of the Ondo people. 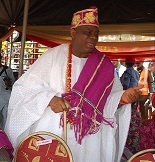 While the people of the Kingdom, almost in unison rejected a version that links its origin to the Old Benin Kingdom in present day Edo State, as being the invention of its proponents, there seems to be some level of convergence on the other two accounts which trace the origin of the people to Ife and Oyo respectively. While an outright invention of any historical account, as attributed to the BeninKingdom version, may be unlikely, the symmetry of the more widely held versions of the origin of the people are herein reflected with the major dissonance being in the origin from either Oyo or Ife. But on a broad outlook, the two accounts seem to point towards the same direction, as those in Oyo originally migrated from Ife, the ultimate source of all Yoruba. Oduduwa, the progenitor of the Yoruba was one of the sons of Lamurudu, who was believed to have migrated from Mecca, Saudi Arabia, after some sectarian disagreement. He held the title of Olofin Adimula before he left Mecca. This perhaps explains why most Yoruba Obas are still referred to by that title to date. Oranmiyan, one of the sixteen sons of Oduduwa who left Ile-Ife, probably out of sheer ambition or mere adventure, was the first Alaafin of Oyo and the father of Oluaso, who gave birth to Pupupu, the first paramount ruler of Ondo Kingdom. Pupupu, a female, was one of the twin children of Oba Oluaso, who was said to have reigned in Oyo in the 15th Century. The other twin, a male, was named Orere. Twin birth in those days was considered an abomination and a strange phenomenon, esemawe, as a historical source interpreted it. Conventionally, the twins and their mother were instantly put to death, to prevent the imminent bad omen which was believed to be synonymous with their arrival. But because Olu, the mother of the children was one of the favourites of the King, her life and those of the twins were spared. They were however with an entourage of slaves under the guidance of a hunter called Ija, sent out of the palace with a beaded crown and an Akoko tree, signifying their royalty. Those were to accord them the dignity and the reverence due to royalty. Again, their father against the tradition of multi tribal marks of Oyo, incised two long tribal marks, one on each side of the cheek. Oluaso was apparently conscious of the fact that he may not set his eyes on the children for a long time, hence those facial marks were incised on them, so that they would be recognizable any time they were seen or if they came back home. This explains the origin of the tribal marks of Ondo to date. The group wandered through the forest till they got to a place called Epin, near Gbere, whose inhabitants were referred to as Ibariba. They were well received and catered for until the death of Oba Oluaso in 1497. They headed back to Oyo when the succeeding king did not treat them fairly, but Onigbogi, the reigning king had to send them back to a virgin land compassed about by Ife, Ijesa, Ekiti, Ado(Benin) and Ijebu communities. They later got to Igbo Ijamo (the forest discovered by Ija). The group apparently stayed in this place for some time. Eventually they found lgbo Ijamo unsafe and therefore continued their journey eastward, until they finally got to a place called Epe, not far from the present Ondo town. They were in Epe for many years and as they journeyed on, they passed through a hill which is today known as Oke Agunla and one of the communities that make up the present day Ondo Kingdom. From this hill, they spotted some smoke and headed in its direction. There they met a man called Ekiri one of the original inhabitants of the area. The Ifa oracle, as was the usual practice then, was consulted on the prospects of the newly found location. The oracle instructed them to take along with them a yam stake (edo), as their walking stick. They were to poke the stick into the ground as they went along their way, and wherever the stick didn’t bond with the land, they were to settle. The group left Epe and proceeded as instructed by the oracle until they got to a place where the yam stake did not penetrate the ground. The group chorused in surprise Edo du do, (The yam stake would not stick in). 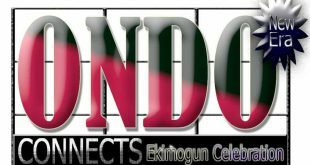 According to oral history, the word Ondo is a contraction of the sentence “Edo du do”. When the group arrived in Ondo, they met the Ifore, the Idoko and the Oka people. These indigenous inhabitants recognized the royalty of the new arrivals and readily ceded to them the authority to rule over the territory. And in due course, the original inhabitants of Ondo were assimilated into the culture of the new comers. It remains a reference point however that the Idoko and Ifore settlers still maintain a kind of separate political structure which is akin, in many respects, to that of the larger Ondo community. As time went on, the people spread to form other settlements like lgbindo, lgbado, llu-nla, Odigbo, Ajue. Igunsin, etc. 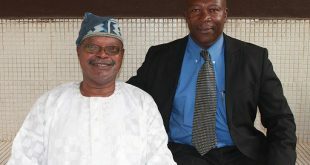 By and large, the Ondo people still regard Epe, a relatively small town, seven miles from Ondo, on the Oke-lgbo road, as their original town (Orisun), from where they migrated to their present location. Up until now, many Ondo festival and rituals have Epe as their source. Pilgrimages are sometimes made to Epe for some of the festivals. Historical account also has it that at the demise of the Osemawe, his head was usually buried in Epe while the remaining part of his body was in Ondo. It is also worthy of note that a historical account holds that the twin brother of Pupupu, actually settled down in Ile-Oluji and became its first traditional ruler. This may also explain the close link between Ondo and Ile-Oluji, who are actually descendants from siblings of same parentage. Ref: Great Britain Foreign office (1889). British and foreign state papers, Volume 81. H.M.S.O Page 599.